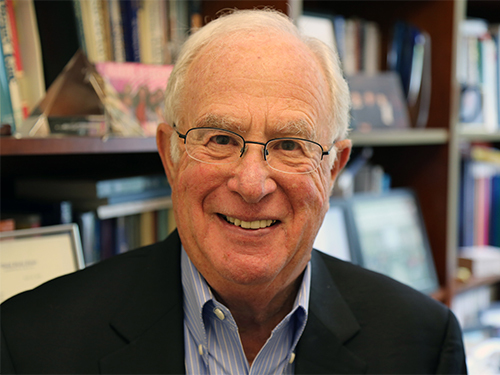 WASHINGTON -- For his pioneering role in national health policy and health services research, the National Academy of Medicine today announced Stuart Altman is the recipient of the 2018 Gustav O. Lienhard Award for Advancement of Health Care. The award, which recognizes Altman’s achievements with a medal and $40,000, will be presented at the National Academy of Medicine’s annual meeting in Washington, D.C., on Oct. 15. Altman is Sol C. Chaikin Professor of National Health Policy at The Heller School for Social Policy and Management at Brandeis University in Waltham, Massachusetts. The Lienhard Award is funded by an endowment from the Robert Wood Johnson Foundation. Gustav O. Lienhard was chair of the foundation’s board of trustees from the organization’s establishment in 1971 to his retirement in 1986 -- a period in which the foundation moved to the forefront of American philanthropy in health care. Lienhard, who died in 1987, built his career with Johnson & Johnson, beginning as an accountant and retiring 39 years later as its president.